It’s week 12 in college football. We’re getting to the point of where people think the only thing that matters is the SEC, and who is in (everyone) or out (no one) from that conference now. Oh wait…that’s every week. But it had been a couple weeks since the SEC was featured. 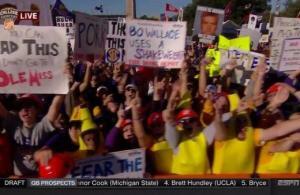 So this week, College Gameday was back yet again in Alabama, and the trailer parks were going nuts. 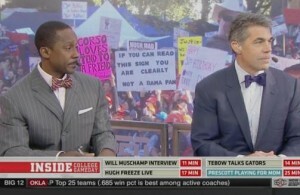 As we do every week, we’ve put together the #NOTSCTop10 funniest GameDay signs from GameDay’s appearance in Tuscaloosa for the Mississippi State/Alabama game. Check them all out by clicking the page numbers at the bottom. As usual, they take shots at just about everything. 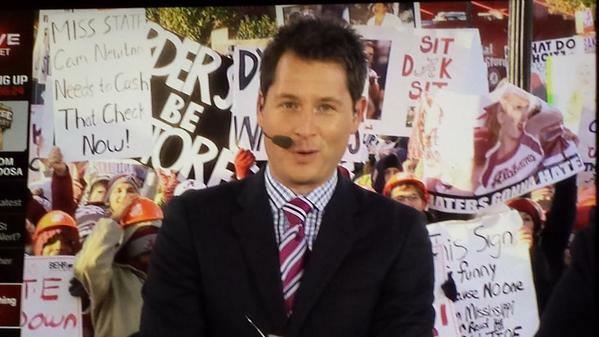 The main focus this week: Mississippi State, Auburn, and of course, Jameis Winston. 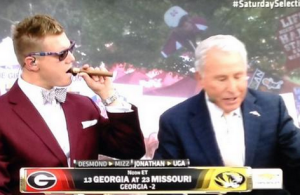 They were more focused on Auburn and Jameis than their opponent Mississippi State, who is #1. Uh oh. 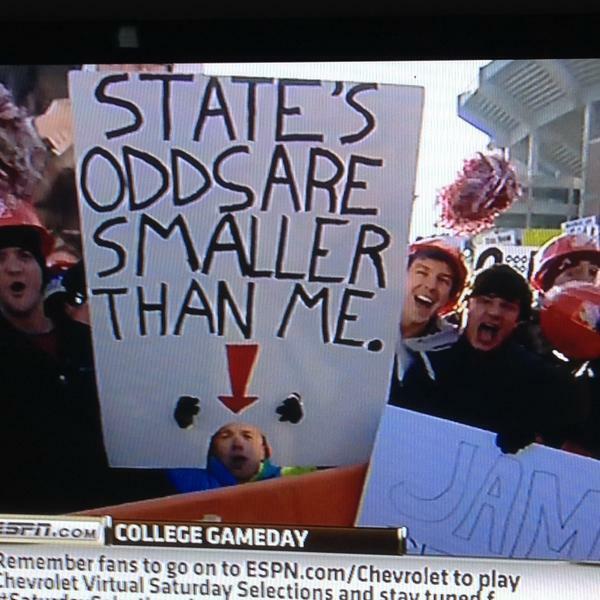 #10 What’s Mississippi State’s chances of winning in Tuscaloosa? Mississippi State is #1 and an underdog like they aren’t even ranked. 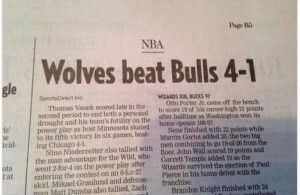 Maybe they shouldn’t be #1? Or is that too much logic for the poll voters?